De-ox Silver Angular Annie Ring a new twist on the orginial Annie ring. Still a fab cocktail ring! Pale pink/tan colored Quartz. 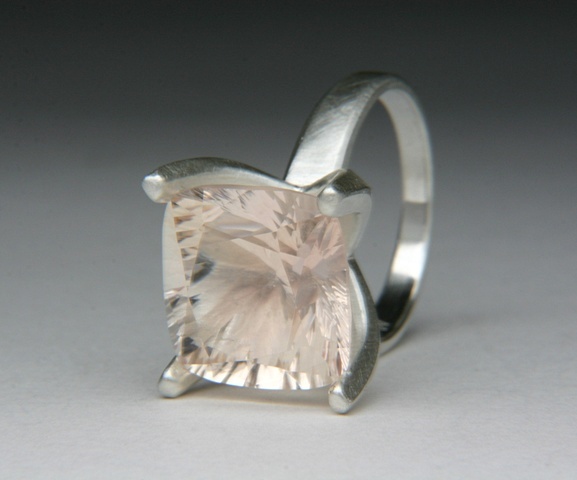 The pinkish tan hue of this quartz is beautiful! SIZE 6 7/8 contact me about sizing. #JC558. Signed by Jewels Curnow.